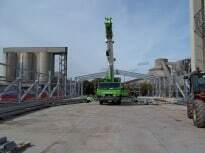 Cyclone Steel Buildings offer our ‘Steel Building Erection’ services which can provide peace of mind knowing that your building will be erected by our trained professionals. Cyclone Steel Buildings can erect both large and small structures across the UK. Advantages of using our builders are clear; our builders will check delivery of your building, ensuring that all components are onsite and will arrange for any missing parts to be transported immediately. You can forget about your building process until you are handed the keys! Our builders offer a wealth of experience. They have been erecting our buildings for over six years and know our structures inside out. With Cyclone Steel buildings, you can forget about your building process until you are handed the keys! Our builders will not leave site until your building is 100% correct and has been inspected and verified by you. 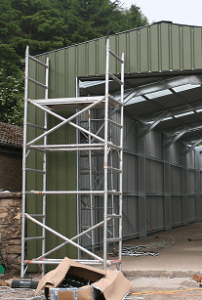 Cyclone Steel Buildings have four teams of builders available throughout the UK meaning our buildings can be erected to the same high quality anywhere in the UK and at your timescales. When you choose to deal with the only Quality Assured steel building supplier in the UK be assured that our builders offer the same high quality service.